The Panera Bread at 12th and Arch Streets. Soon, you'll be able to get Panera's sandwiches, salads and other menu items delivered right to your door. And, if you're looking for employment, you might be able to snag a gig as the person dropping it off. The fast-casual chain announced this week it's planning to roll out a national delivery service this spring. 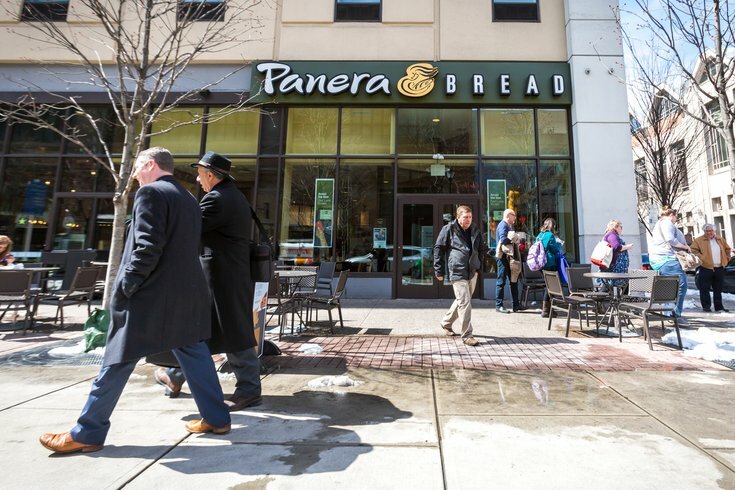 The service will be available for anyone within an eight-minute drive of a participating Panera location and will generally be available from 11 a.m. to 8 p.m., seven days a week. Lunch and dinner menu items will be available through the delivery service. There will be a $5 minimum on deliveries as well as a $3 service fee. To see if your local Panera store delivers, go to delivery.panerabread.com. To see if a Panera is hiring delivery drivers near you, go to https://jobs.panerabread.com/.